Description : Here we have the official MGM Grand boxing main event program that was only sold at the fight. Another great Las Vegas blastout that I was so happy to be in attendance at. This had to be one of my best 5 day 25/7 blastout's! more than 35,000 flew in from all over the globe to see Ricky go at it with Floyd. Shame about the result but the party atmosphere was heroic. 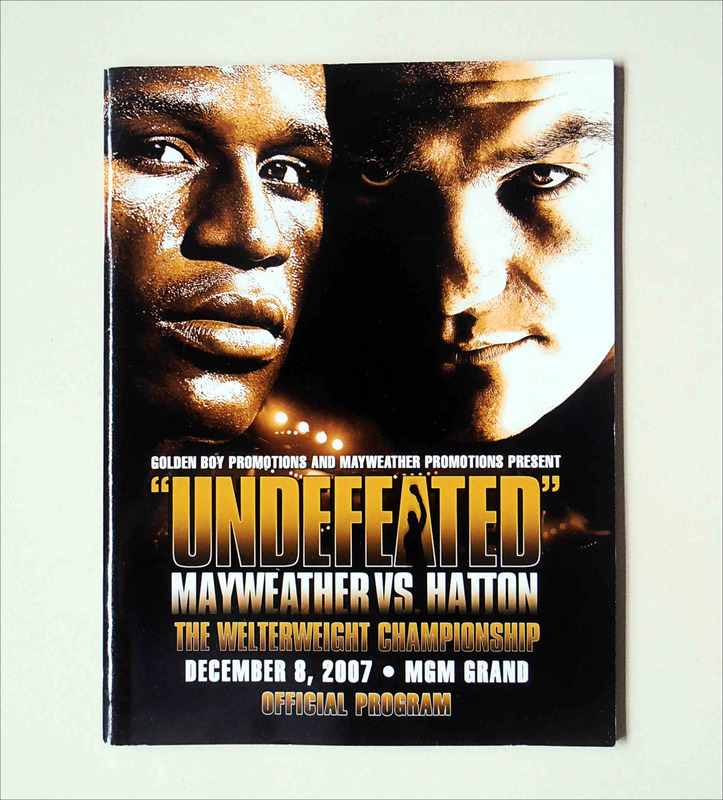 Hatton was able to hold his own, until round six, after Hatton got worn down from chasing Mayweather around the ring. 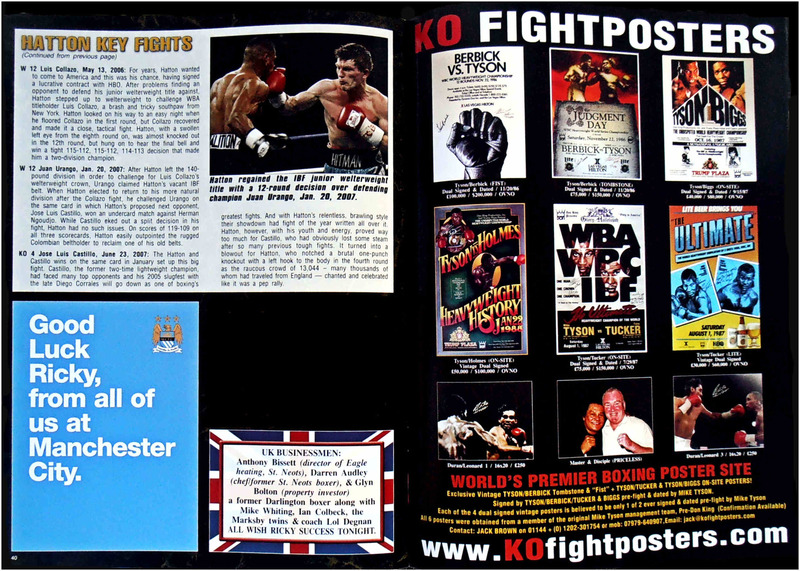 Mayweather sensed the exhaustion of Hatton, and pursued Hatton's punches with stiff, damaging counter-punches. 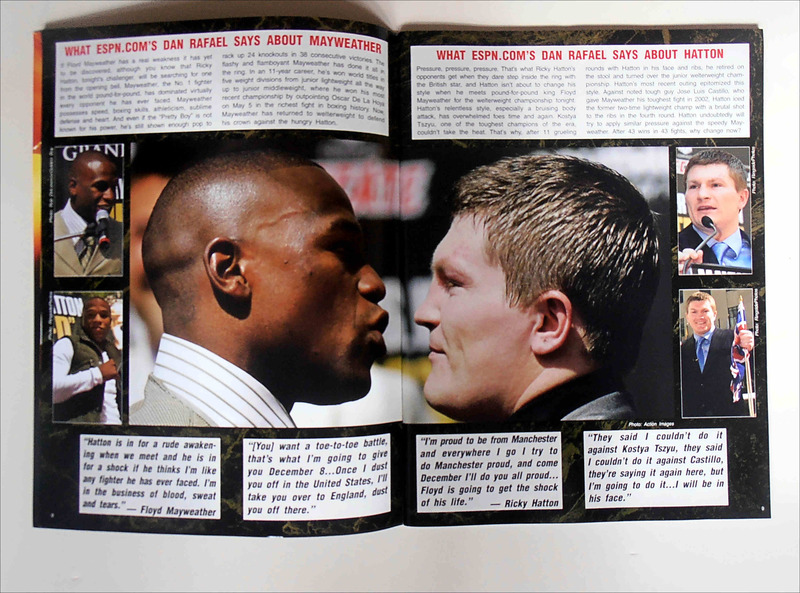 Mayweather was clearly in control before rocking Hatton in the 10th round. He knocked him down with a left hook, and Hatton was badly hurt. He didn't look as though he knew where he was when he got up, but referee Joe Cortez let the fight continue. Mayweather wasted no time jumping on him again, landing a flurry of punches, including another left hook that sent Hatton staggering backward and down again. Cortez called off the fight at 1:35 without a count at the same time the white towel was thrown from Hatton's corner. All programs sold out 3 days before fight night!